The young mother stepped onto the scale for the doctor. Even with all her black robes on, she weighed only 84 pounds 38 kilograms. 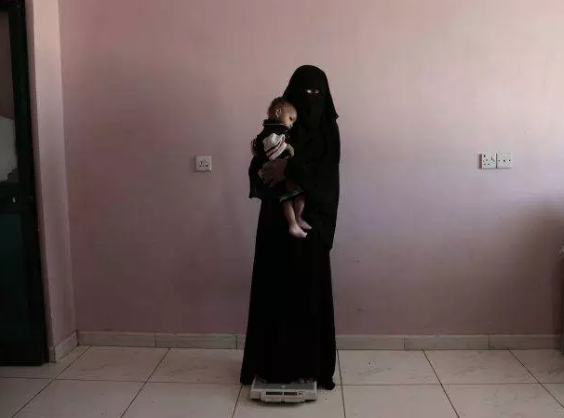 Umm Mizrah is pregnant, but starving herself to feed her children.